IPL (Intense Pulsed Light) is able to address various signs of aging and skin damage. IPL is able to remove brown spots, rosacea, and cherry angiomas. It also smooths fine lines, brightens skin tone, and fades hyperpigmentation. Various clinics will offer IPL starting from $100 and increasing up to $500 per treatment. The cost of an IPL treatment can vary depending on a few variables. 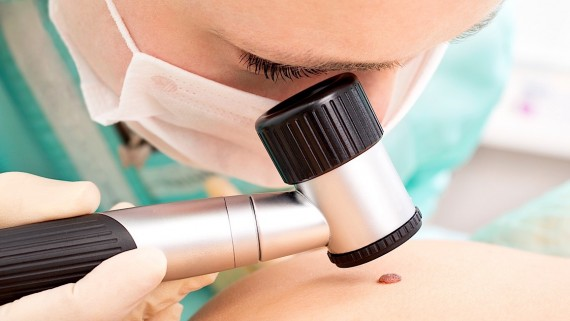 The first factor is the type of skin condition a patient wants to be treated for with IPL. Patients looking to address a few red veins on their face will be charged considerably less than a patient who wishes to treat rosacea or a full face with sun damage. The treatment areas include the face, neck, chest, hands, stomach and back. IPL, also known as photorejuvenation or photo facial, is more costly than chemical peels but is less expensive than most laser skin procedures. IPL also requires much less down time. The number of IPL sessions required can range between 2-5 treatments depending on the severity of the skin concern. For more information on how IPL can improve your skin, visit www.lastinglooks.ca/photofacial-ipl-toronto. A cherry angioma is the most common type of mole-like growths made up of small blood vessels, or capillaries. These are common skin growths that can develop on most areas of your body. They are usually found on the face, hands, legs and stomach. Although these are superficial and non-life threatening, they can be bothersome to some. Cherry Angiomas may seem superficial enough, however they maybe up to 1-3mm in size. This type of skin growth is typically not a cause for concern, unless it bleeds often, or changes in size, shape, or color. The most effective treatment option for a Cherry Angioma is IPL (Intense Pulse Light), also known as Photo Facial. This laser is considered the gold standard for treatment of these vascular lesions. IPL or Photo Facial works by targeting the blood vessels and redness in the affected area. Multiple treatments will cauterize the lesion or area, helping to minimize bumps as well as relieve the redness. Generally 1 to 2 sessions of IPL is required for an effective treatment on smaller angiomas. Larger size angiomas may require more sessions. Typically patients will notice these blood vessels “popping” after 3-7 days. The treatment is painless and requires no downtime and there is no scarring associated with this treatment. 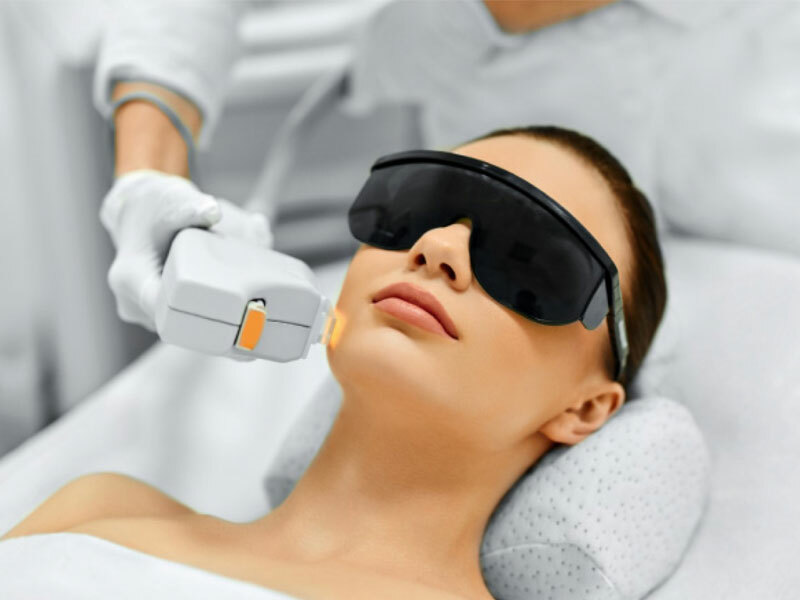 For more information on IPL and Photorejuvenation visit https://www.lastinglooks.ca/photofacial-ipl-toronto at Lasting Looks Clinic in Toronto. Did you ever wonder what causes brown spots on the face, chest and hands? The most common culprit is years of exposure to the sun. 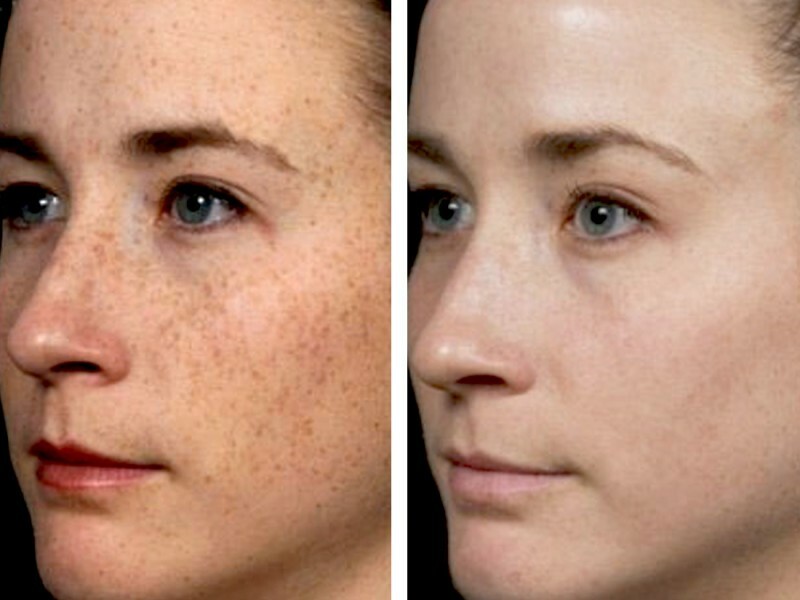 No one is born with freckles—they’re all the result of sun damage. Freckles come from ultraviolet radiation that reacts with melanocytes in our skin, causing them to become enlarged and overactive. Melanocytes are pigment producing cells, located in the lower layers of the skin giving skin its’ color. Over time, this increased melanocyte activity causes the formation of brown spots in adults. These are also commonly referred to as “age spots,” in the elderly. When we are exposed to the sun, there can be an overproduction of these cells in certain areas. This can leave spots behind long after your tan has faded. Some people may have a few spots, while others may have numerous patches called hyperpigmentation. As the sun triggers the melanocytes in the skin, it reacts by darkening the skin to protect it from burning, which results in a tan. Brown spots or hyperpigmentation may also be triggered by certain medications. After taking hormone medications and antibiotics, many people have found that they are left with patches of darker pigmentation. This can be especially seen if they have had unprotected sun exposure while on these medications. Treatment options for brown spots are available ranging from specific lightening products to clinical medical grade peels and IPL Laser treatments. IPL also known as Intense Pulse Light, Photofacial, and Photorejuvenation target the brown spots by using a pulsed light based laser breaking down the pigment while generating new collagen in treated areas. Chemical Peels will also help to fade and slough off superficial brown spots. The proper use of a micronized zinc oxide SPF daily is imperative, not only in preventing new damage but also in protecting the skin during and after IPL and Photofacial treatments. The exact cause of rosacea has yet to be discovered. Various specialists have different theories. Some say that rosacea may be a generalized blood vessel disorder explaining the flushes; while others claim that the stomach’s Helicobacter Pylori (a virus which produces ulcers) could be the main cause. There is also a theory that Rosacea is caused by a mite under the skin. Although doctors feel there is no cure for Rosacea, there are ways to control and improve the symptoms. Oral or topical prescription drugs can treat bumps and redness. Some doctors may prescribe antibiotics, followed by a long-term use of topical therapy. IPL (Intense Pulsed Light) Photofacial also known as Photo rejuvenation laser treatments, provide impressive results when treating Rosacea. These treatments can constrict and reduce the visible blood vessels, as well as lessen the redness and red patches. Impressive results are seen after 3 to 5 treatments. 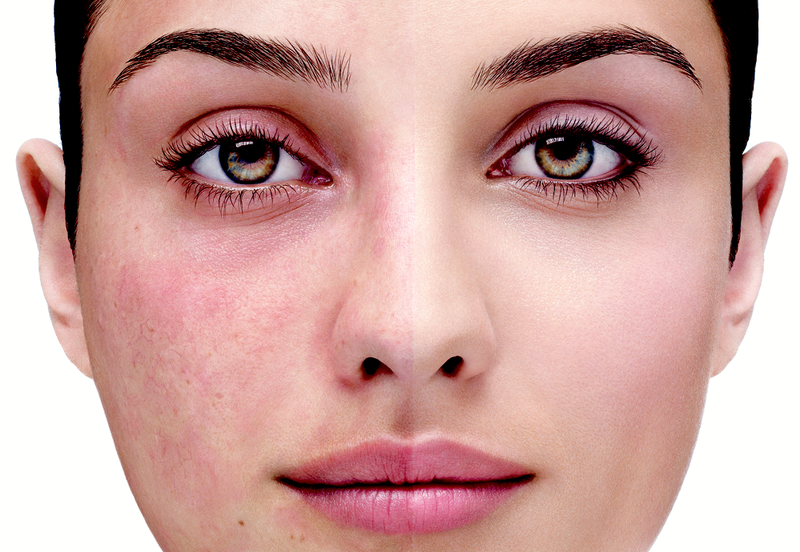 Maintenance treatments are required yearly to control Rosacea. Photo Rejuvenation also known as Photo Facial or Intense Pulse Light (IPL) treatments is a treatment for brown spots, broken capillaries and overall redness or Rosacea in the skin. Most people aren’t aware that IPL can also help to stimulate the production of new collagen in the treated areas. This occurs because while the treatment is targeting the upper damaged layers of the skin it is also delivering heat (thermal energy) to the deeper layers. The skin reacts as if it would to a superficial wound by stimulating fibroblasts. Fibroblasts are the cells in the body that make collagen. Lasting Looks Clinic Anti-Aging and Laser Clinic in Toronto has been providing patients with Photo Facial treatments since it was first introduced to the market. We have seen dramatic results in patients that undergo these treatments not only with the repair of sun damage but also with the thickening of collagen fibers and density of the skin. What a wonderful bonus for patients undergoing treatment for an unsightly condition such as sun damage or Rosacea – and ending up with denser more luminous skin!! While we usually look to our faces for rejuvenating treatments we typically neglect our hands. Unfortunately our hands will often make us look older than we actually are. Whether it is brown spots from the sun or skin losing its elasticity and thickness, there are treatments available to correct your aging hands. Lasting Looks Anti-Aging and Laser Clinic in Toronto has been treating the hands of our patients along with their faces for over 15 years. Among some of the treatments offered for the hands is IPL also known as Photorejuvenation. IPL will treat treat the brown spots also known as age spots as well as helps to rebuild collagen. Another important factor to take into consideration is, although many of us apply lotion or cream to moisturize our hands we usually forget sunblock. 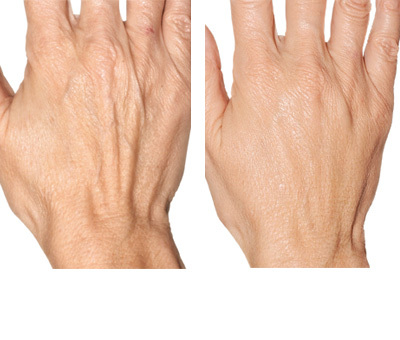 Repeated sun exposure will create brown spots and unnecessary aging of the hands. It is necessary to wear proper zinc oxide based SPF daily and reapply every 3-4 hours to prevent further sun damage. An added benefit of fillers in the hands is that veins are remarkably less noticeable and the skin is less crepey as well. Fillers tend to last from 6-12 months depending on which type is used.